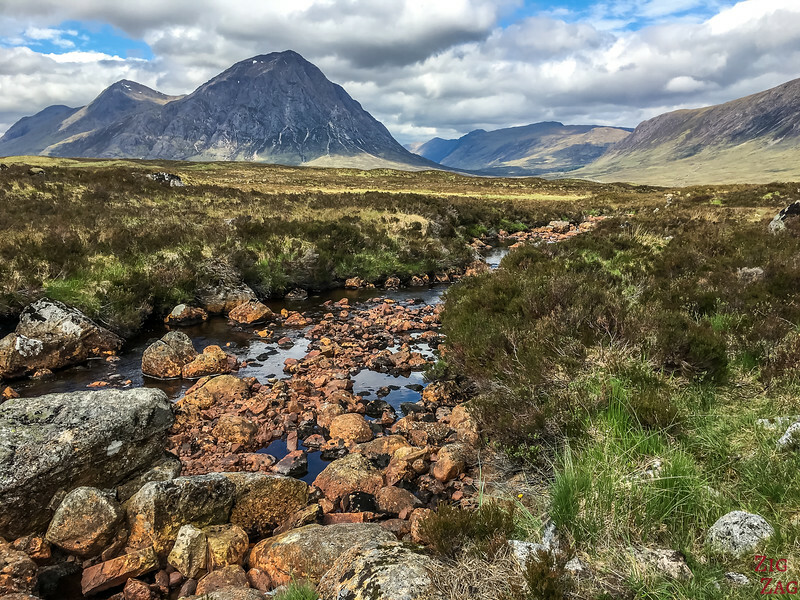 Located in one of the dramatic region of Glencoe, Buachaille Etive ﻿M﻿or is one of the most photographed mountains in Scotland. The main reason: One side is shaped like a pyramid and displays beautiful colors year-round. 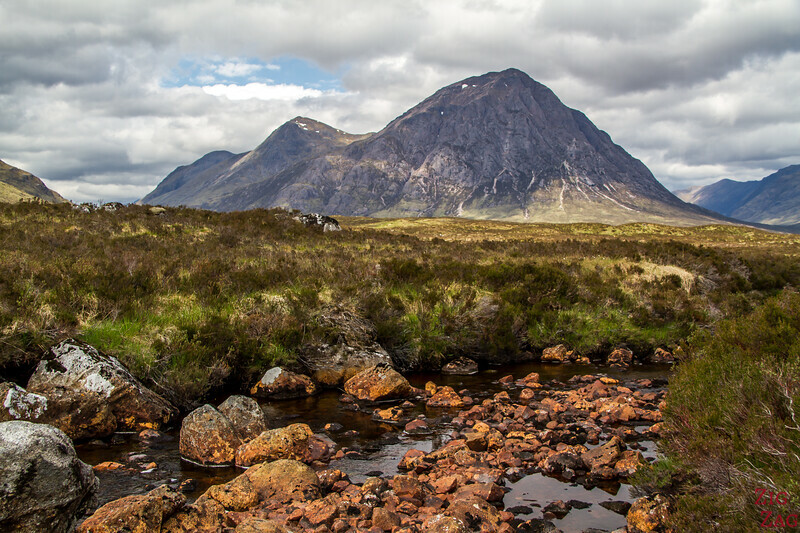 Below are some of my best photos of Buachaille Etive Mor as well as a short video. 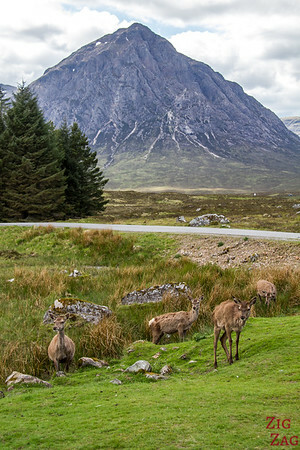 Admiring the 1022 meter high Munro of Buachaille Etive Mòr is one of the top things to do in Glencoe. 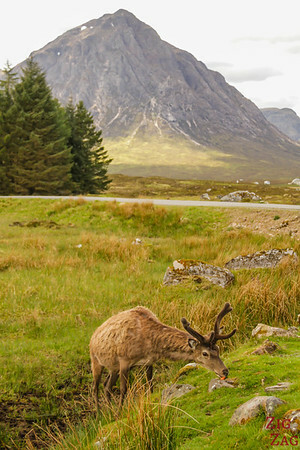 Even if you don't plan for it, when you drive through the area your eyes will not be able to look elsewhere. It is like a magnet of beauty. 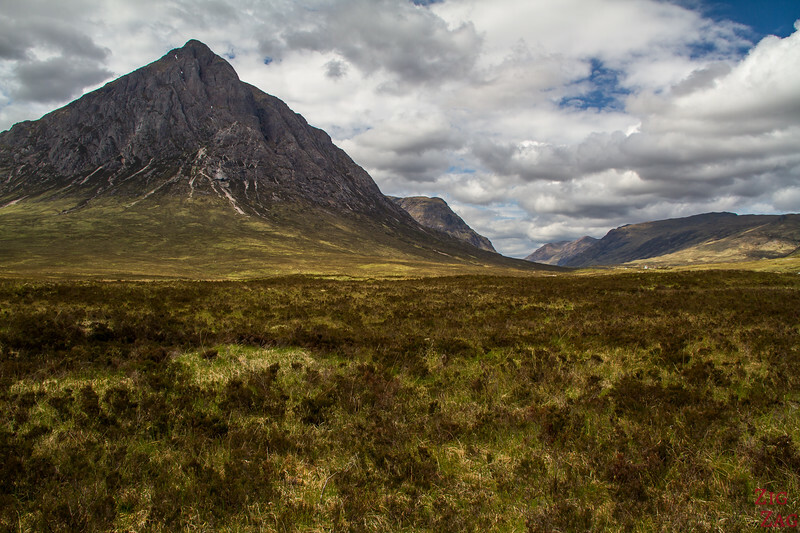 I consider it one of the Must-Sees in Scotland. 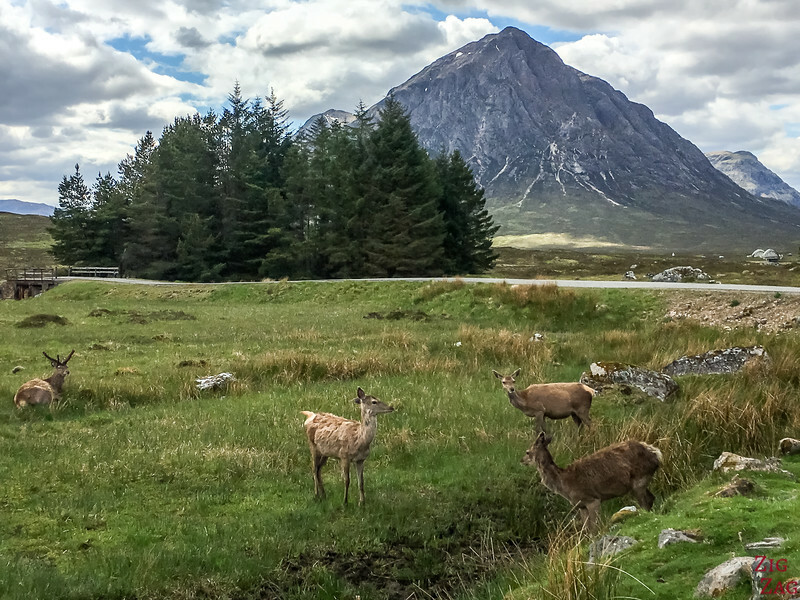 Its name mean the Great Herdsman of Etive as it stands at the entrance to one of the best roads in Scotland: Glen Etive and its river. 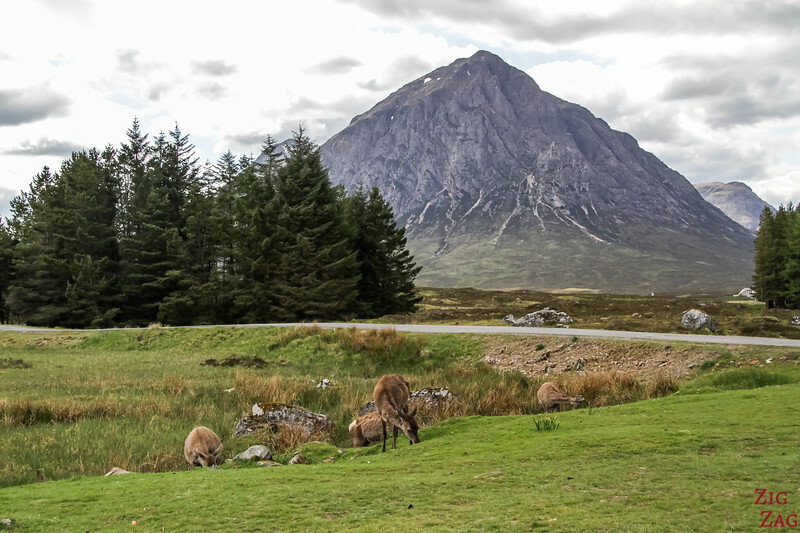 As you drive westbound on A82 through Glen Coe, the one mountain that stands out is Etive Mor. Its sight is mesmerizing. But don't forget to still focus on your driving!!! I was lucky that was not the case and could watch its details becoming sharper as we approached. 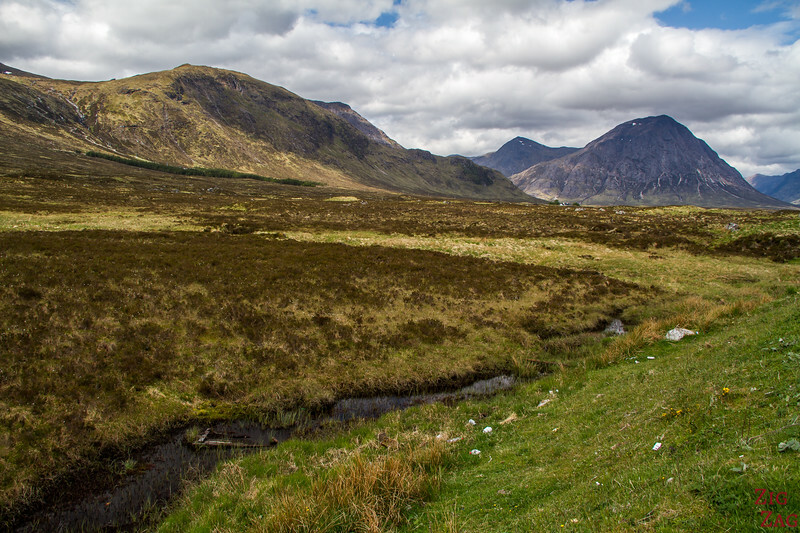 As you turn to drive to road up to the Glencoe Ski resort, stop at the intersection near the road signs. 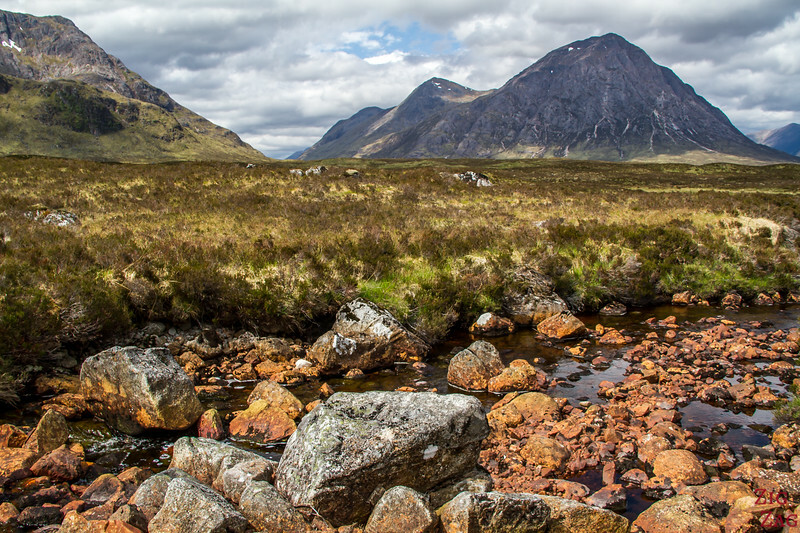 Below is a river with orange rocks that make a perfect foreground. 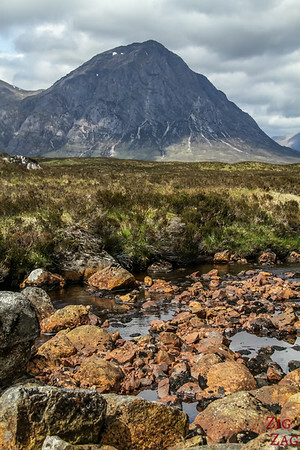 Not only is Buachaille Etive Mor stunning, the surrounding scenery complements it very well. 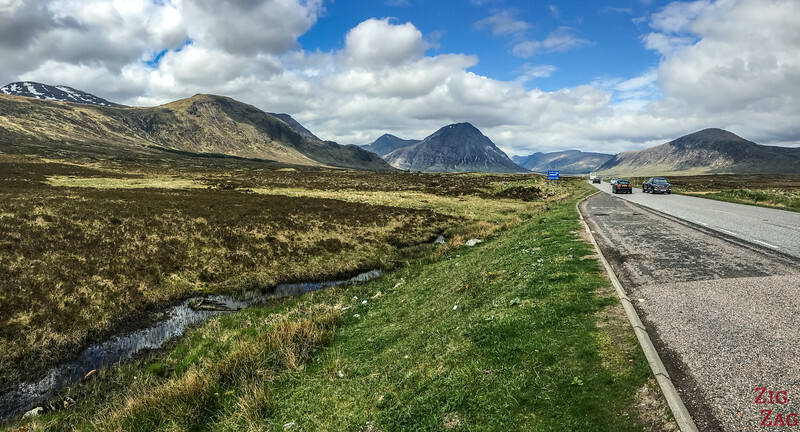 If you have time, I strongly recommend doing the Glen Etive drive. 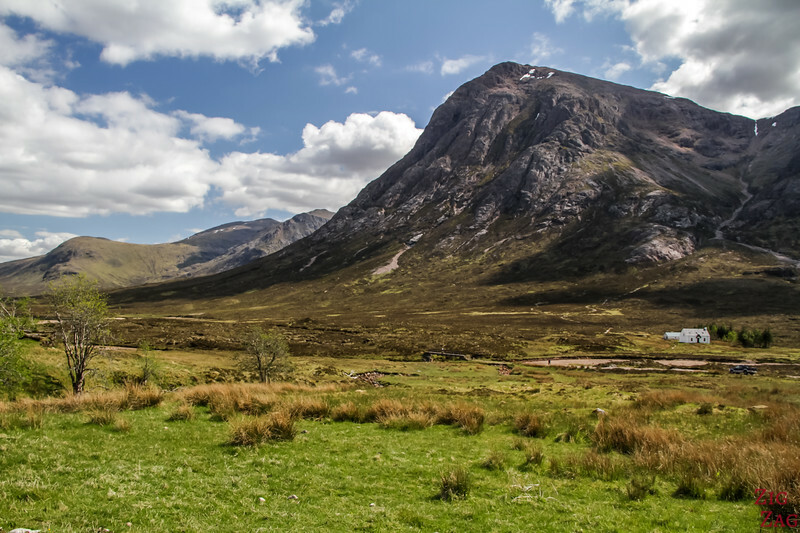 It is one of the best drive in Scotland. 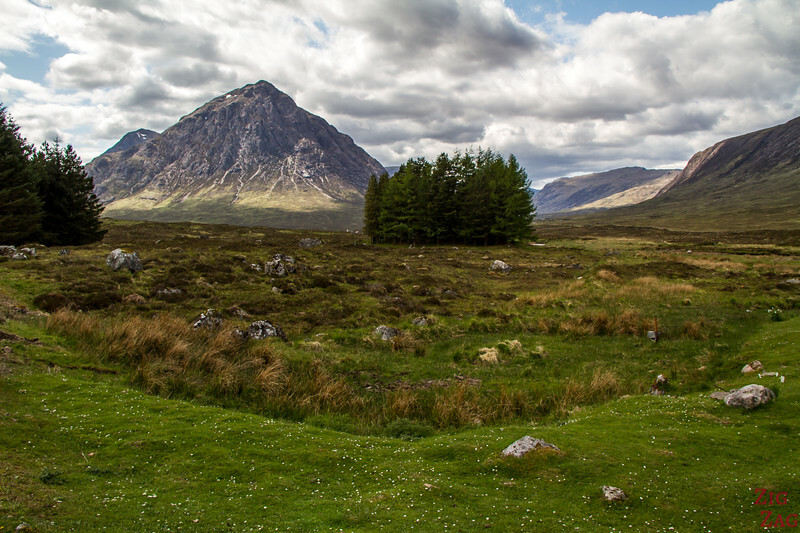 But you need at least 3 hours to enjoy it and relax a little at Loch Etive. 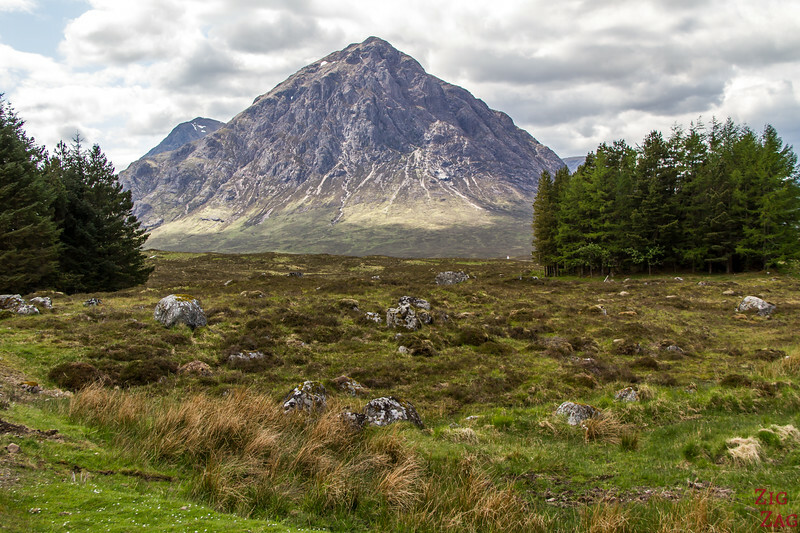 The best side of the mountain is the one facing east as it looks like a pyramid. 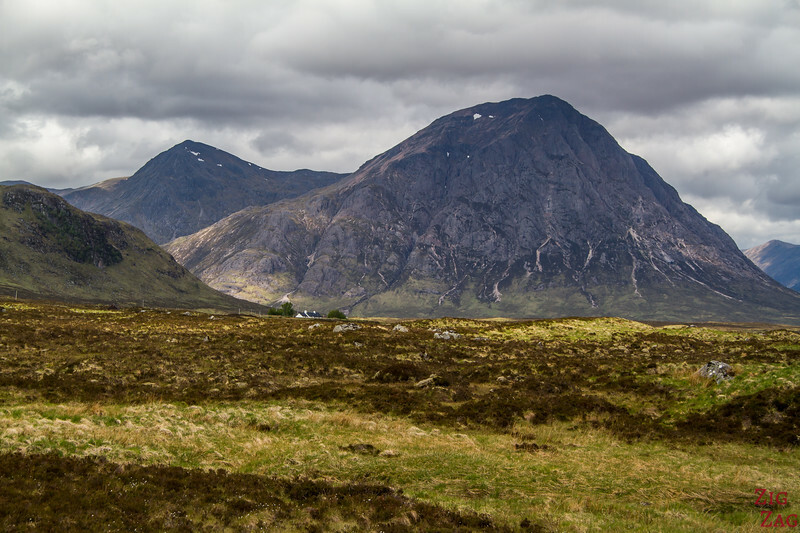 Once you drive past it, you can stop at the parking for Buachaille Etive Beag (another pyramid shaped mountain but not as pretty). 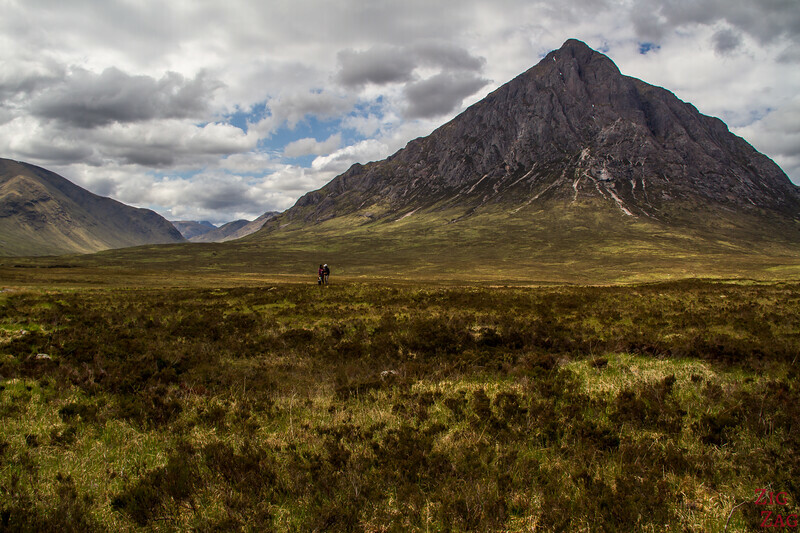 And from there you can see the Side facing West of Buachaille Etive Mor.